Morgan and I hit up Target and found all 4 of the items we needed from the Hush Collection. The tricky part is that we had to look in the baby aisle instead of with the other shampoos and conditioners. We picked up the Sensitive 2in1 Soothing Shampoo+Conditioner, Sensitive Scalp Serum Balancing Treatment, Sensitive Detangler Ultra-Gentle Leave-In and Sensitive Styling Foam – Natural Hold. The shampoo has this neat brush attachment that helps to gently massage the scalp and life up dirt and debris. Morgan’s hair is waist length so I had to spray a good amount to cover all those curls. It helped make detangling pretty easy but the scent wasn’t my favorite. I added in our favorite moisturizer and then sectioned each part and twisted the hair with the styling foam. 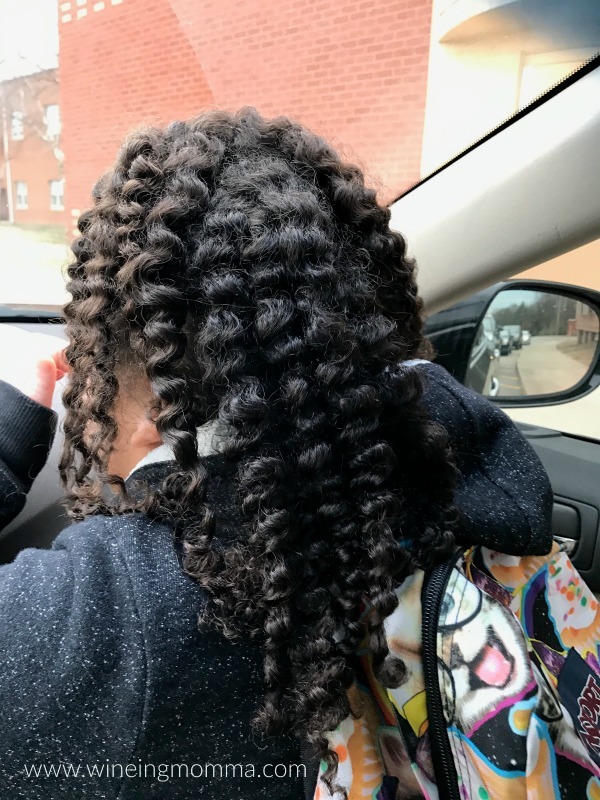 The next day I untwisted her hair and it was so pretty and shiny! In between her next shampoo I used the scalp serum and it helped alleviate any issues with an itchy scalp which sometimes occurs. 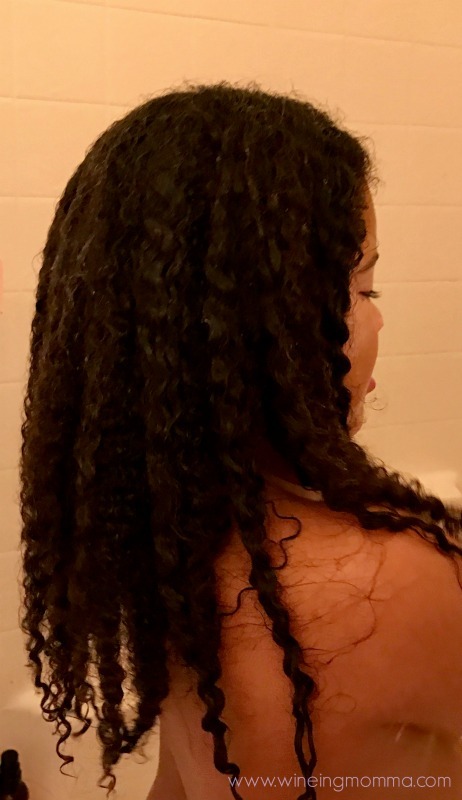 And to keep her hair from getting out of control and having her wake up looking like Cousin It I re-braided her hair at night and added a little extra foam as needed. Got a few good days out of the braid out too which is always a plus! Do you have a child with sensitive skin or want to avoid all of the harsh chemicals found in so many products? You can find this line and all of the SoCozy Products here.